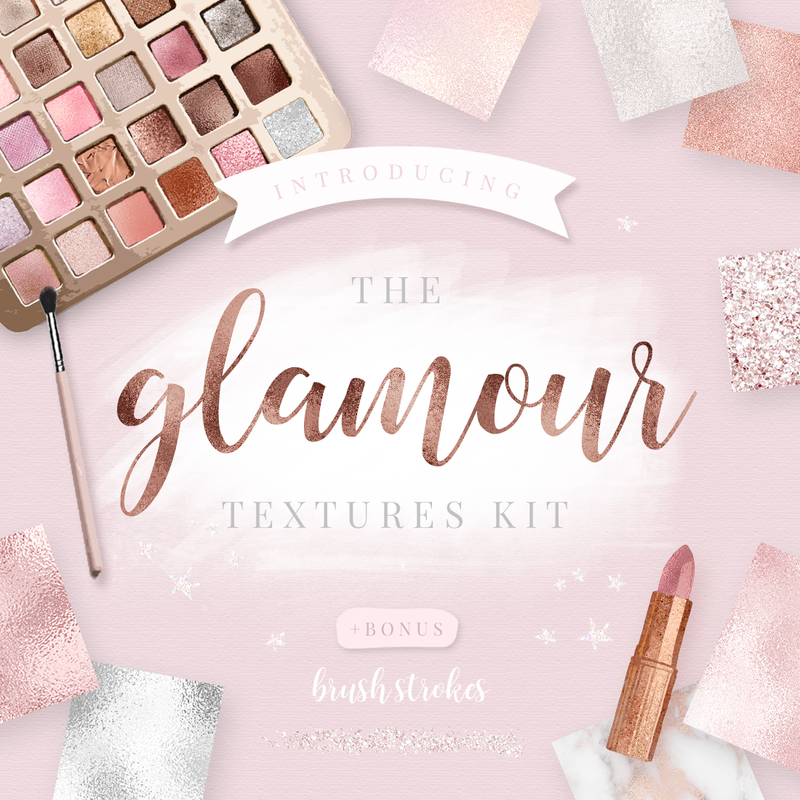 A glamorous pack of textures in metallic foil, glitter, rose gold, marble and more. Use the textures in your branding, incorporate one into your logo for something extra special or create glam metallic graphics to decorate your blog posts and/or blog design. Use for your business, online store graphics, web design, eBooks, invitations and stationery. 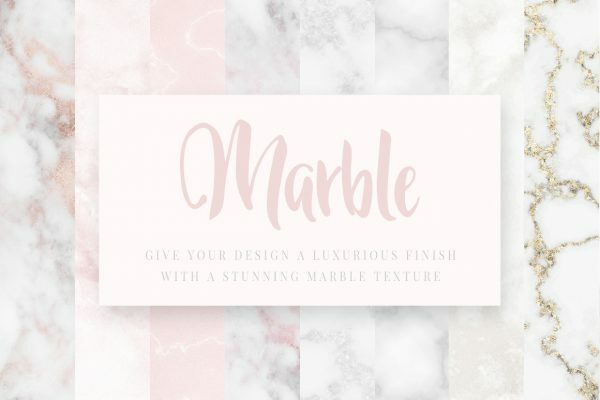 Create foiled text, business cards and anything else you can think of! Take your design work to the next level and create stunning pieces with a bit of shimmer, sparkle and shine. As square, easy-to-use JPG images, you can load them into an image editing program such as any version of Adobe Photoshop, Photoshop Elements or free image editing programs like Picmonkey. Due to the large file download, when you purchase this listing you will receive a PDF document which will link you through to Dropbox where you can download the files. 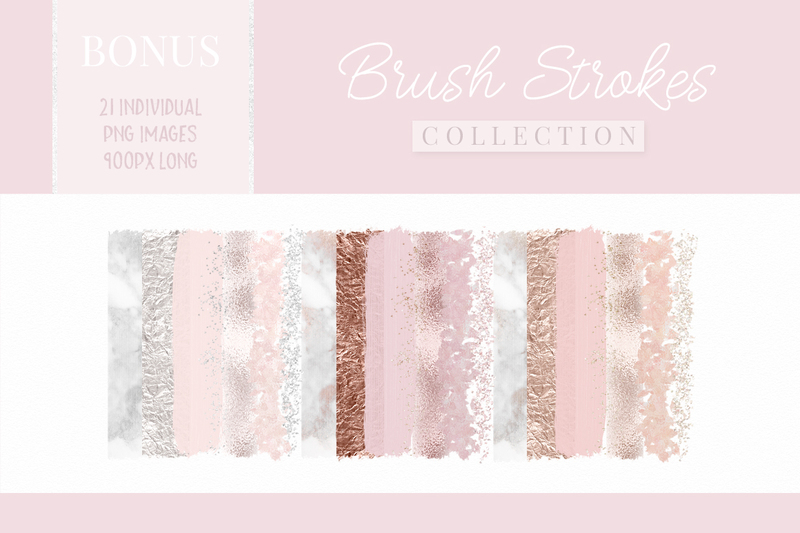 You must not re-sell, redistribute or share the texture files or brush strokes images. Please see the Product License page for more information. Please see the FAQ/Help page or Contact Me.